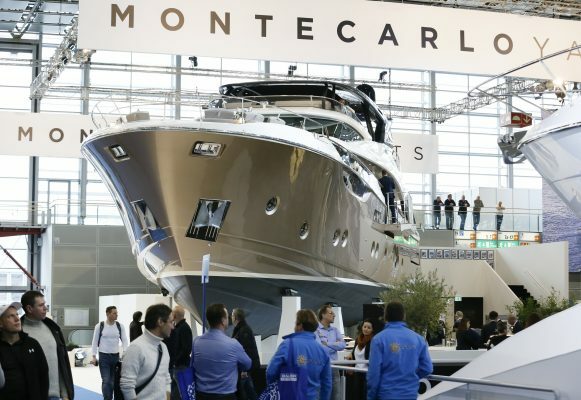 Nearly 2,000 exhibitors – including market leaders such as Princess, Jeanneau, Bénéteau and Bavaria – make the most of 16 different exhibition halls on the banks of the Rhine to premiere new boats and show off the latest marine equipment, innovations and designs. Exhibits and water-filled installations capture the sensation of sailing at sea or riding a wave. 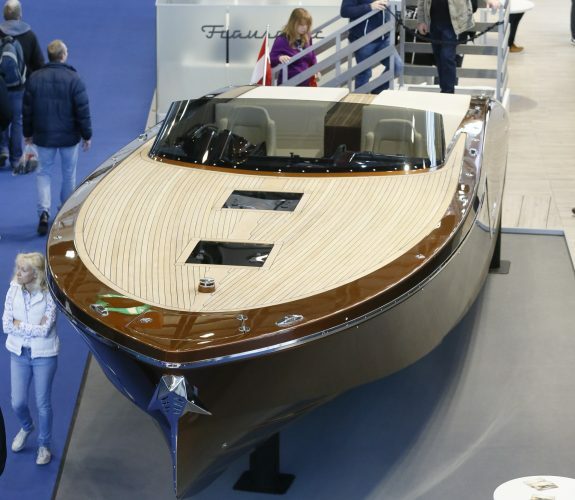 The fair also gives you the chance to see the latest luxury yachts up close with large-sized yachts and a Superyacht Show on display in their own halls. With three halls devoted to sailing boats and no less than five to motorboats and powerboats, there are boats of all shapes and sizes, meaning there’s something for everyone. Getting down to the detail, there’s plenty of opportunities to explore the latest boat instruments, engines, technical equipment, boating accessories and even watersports fashion. Adding to the mix, the show boasts themed areas bringing watersport adventures and activities to life including a diving centre, sailing school, Kids’ World and Trendsport hall where surfboarders take on deep-water installation THE WAVE. Made for people who can’t get enough of being out on the water, the fair covers canoes, kayaks, rowing, rafting, waterskiing, wakeboarding, jetskiing and fishing as well as maritime art and ocean conservation. A dedicated area provides inspiration for cruises, beach resorts, travel and boating holidays and increasingly popular charters. 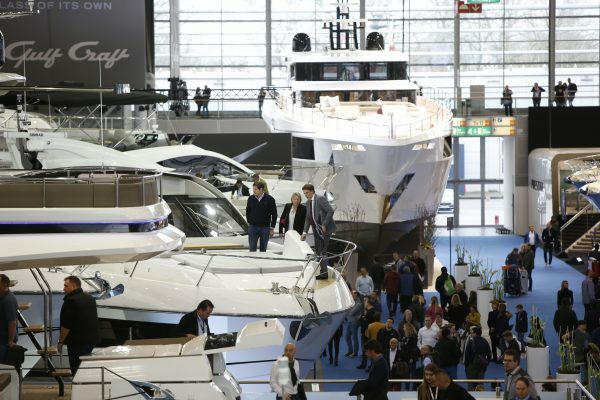 It wouldn’t be a show without an awards ceremony and boot Düsseldorf is where the European Yacht of the Year Award is held, with 19 yachts competing in five categories. The winners, chosen by an international jury, are presented at the Flagship Night. 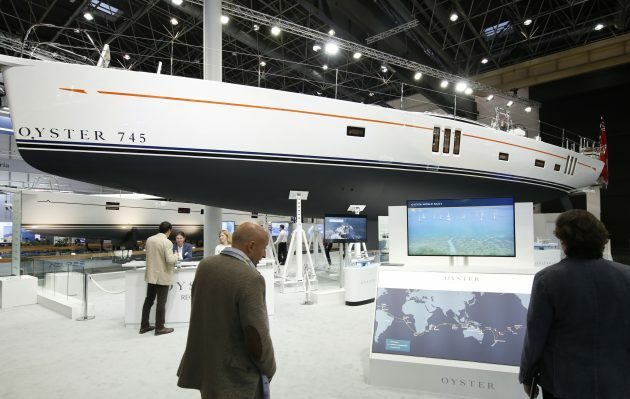 But every visitor gets to size up nominated yachts in detail in the exhibition halls. Part of the fun is picking a personal favourite from some of the world’s most impressive boats, all together in one place. The boot Düsseldorf trade fair in Düsseldorf, Germany runs from 19 to 27 January and is open from 10am to 6pm every day. Admission tickets, priced €19 for a daily ticket, €11 reduced fee and €7 for children between 7 and 12 years, can be ordered online at www.boat-duesseldorf.com and printed at home. Tickets entitle holders to use the Rhine-Ruhr public transport system free of charge.